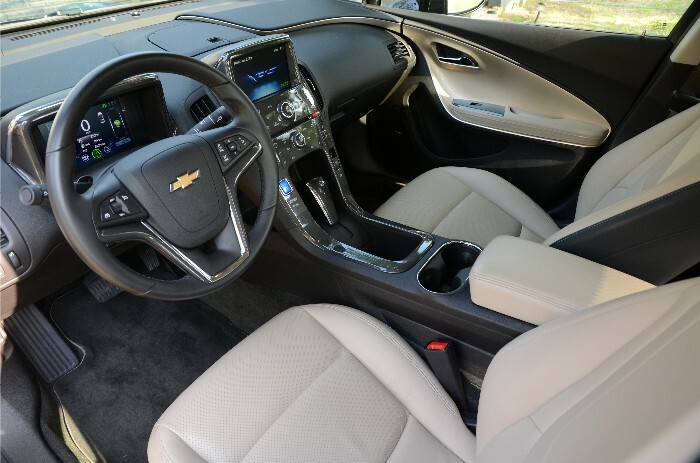 I have written about the new Chevrolet Volt extended-range electric vehicle before so I am not going to go into too much technical detail here. This time I am going to delve into the “electric lifestyle” that would surround a consumer who drives one of the new breed of vehicles home. It did not take me long to figure out a week with an electric vehicle was going to require some different thinking. In fact, when the vehicle was delivered, more than half the battery pack was already drained just going from warehouse to carwash to my driveway in the ‘burbs. 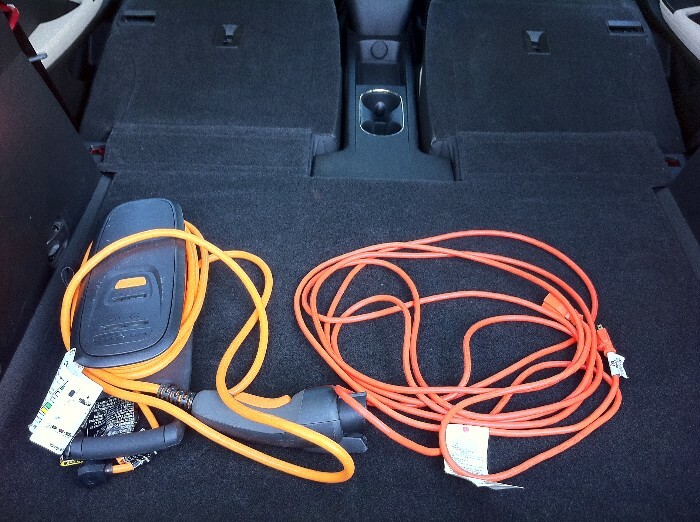 So I dig into the rear storage compartment of the Volt and find the 110V home charging cord that comes with each vehicle. The one that they show in their TV ad that says it will plug into any outlet. Wrong. It will not plug into an outlet in a house that was built in 1956 such as mine was, not to mention there are no outlets on the driveway side of my house. What was my homebuilder thinking 55 years ago? So I drag out an extension cord and plug the vehicle into a newer outlet inside the house that has the extra ground connection. Success. Only, it is nearly 100 degrees outside and I have to crack the door for the cord so AC is quickly escaping making my home electric bill climb significantly, not to mention how warm the cord was growing. Fail. OK, maybe I can charge the car at work. 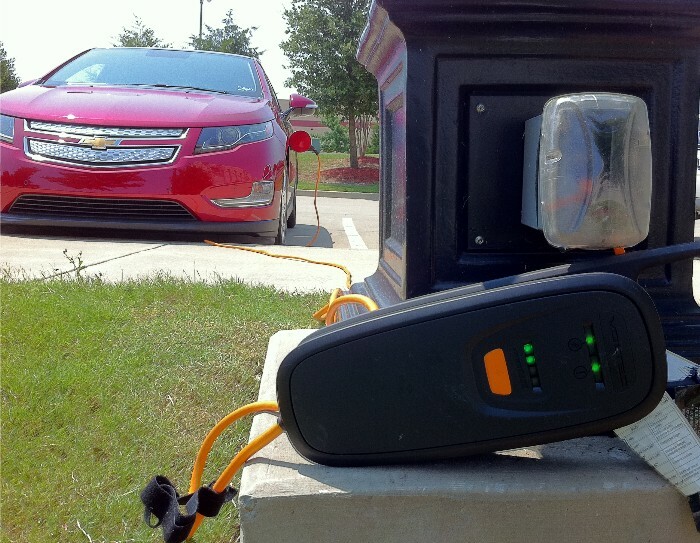 GM says it only needs about eight hours for a full charge on 110V so since I work 10-hour shifts that should do it. Hmmm, no power outlets in the employee parking lot. What the heck were these folks thinking? Must be related to my homebuilder. I inquire with those of a higher pay grade and they suggest one of the plugs in the equipment bay. Huzzah! Except now my vehicle is in the way if anyone else has to access the bay or the rear drive. OK, someone in an even higher pay grade states the light poles in front of the building have electric outlets because that is where they plug the holiday lights in. Sweet. Except I have to make sure and plug in AFTER the lawn sprinklers have run their cycle in the mornings. So I have the plug in the outlet and the charge cable hooked to the side of the car via the charging access door (looks like a fuel filler door but is on the front left fender). I get green lights and a corresponding horn honk from the Volt telling me charging has commenced. Everywhere I went in the Volt this week I inquired if they had a charging station for my vehicle. Nope, sorry, negative, not-on-your-life-this-is-an-oil-state-son, nada, what the hell is a charging station – and all that was just from the guys at the barber shop. 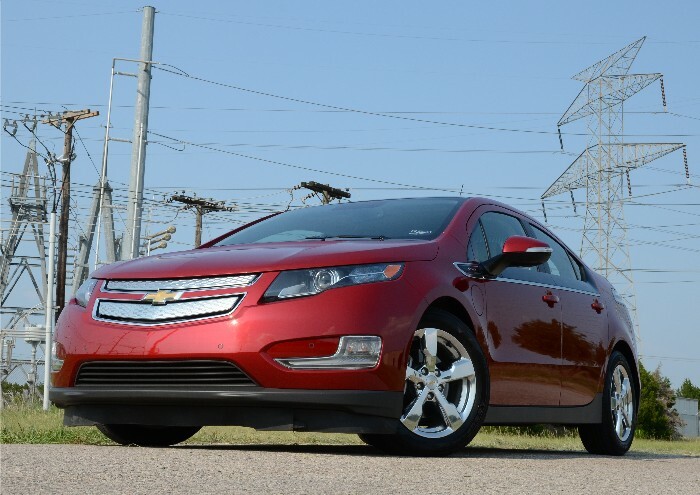 So I spend the entire week driving around using the onboard motor to generate the electricity needed to run my Volt. Fuel economy in town is a heavenly 50 to 80 mpg but when we headed two hours down the highway in 101 degree Texas sunshine, that figure sank to just under 40 mpg. 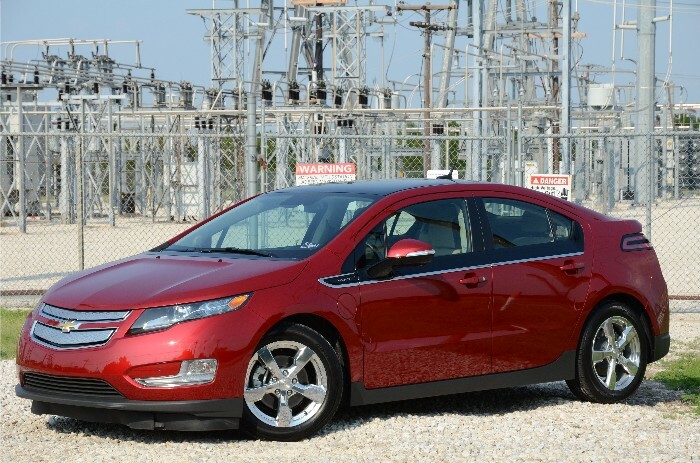 (Still not too shabby but hardly a reason by itself to purchase the Volt over anything else in its size class.) True, the gas generator motor burns very clean and yes, progressive cities are getting public charging stations. The Volt was fairly comfortable and quiet (in electric drive mode it is almost silent so watch out for sleeping cats under the car). There is a normal and sport driving mode and the climate control has selectable Eco or comfort modes as well to fine tune your power consumption. And I really like the styling of this vehicle. It is one of those cars that looks so much better in person than in photos and the Crystal Red Metallic ours was bathed in was gorgeous in the sunlight. The accompanying pricetag was a bit more than anticipated. Our tester arrived in premium trim package with a technology and wheel upgrade that brought the sticker to $44,180. They say the federal government will kick about $7,500 back to you (not sure if this is dollar-for-dollar or if it goes through some of that IRS new math on your tax return) so you still end up with a car in the mid to upper 30s. The home remodel to be able to charge your vehicle may run you slightly more especially if yours is as old as mine (or built by one of my homebuilders relatives).